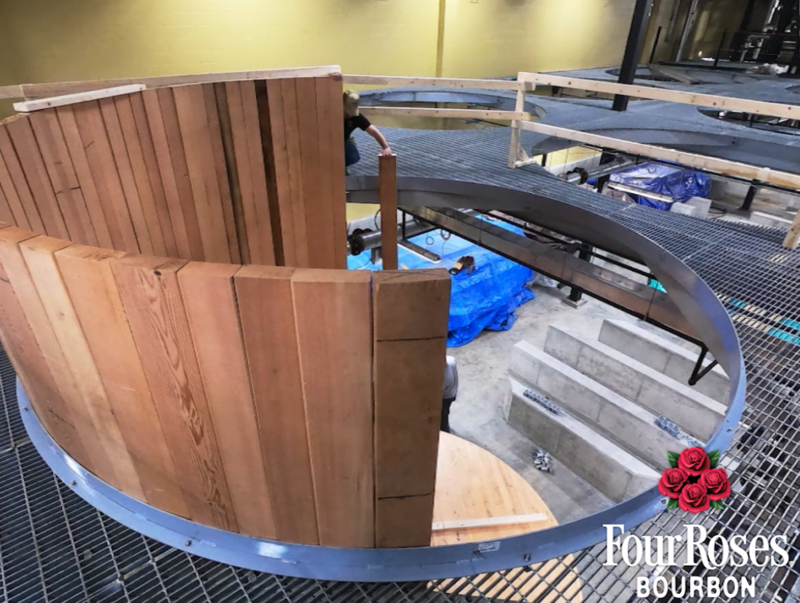 Yesterday marked the culmination of our $55 million expansion project and we are proud to be celebrating with the Four Roses family the next step in our effort to provide even more Bourbon to our consumers. As you may remember, we broke ground on the project in 2015, investing $34 million into our Distillery in Lawrenceburg, and $21 million at the Warehouse & Bottling Facility in Cox’s Creek. At the Distillery, we added two new buildings and equipment, including a new column and doubler still. With the duplicate column and doubler still, production capacity is scheduled to increase from 4 million to 8 million proof gallons, enough to fill more than 130,000 barrels a year! We also added more fermenters, and will continue to do so in the coming years. We took a behind-the-scenes look at one of the new fermenters being installed and we’d like to share with you. This is the first of many new fermentation tanks coming this year to our Distillery. Check it out! While we will continue growing to accommodate industry demand, we will maintain a commitment to produce the same premium quality that defines our brand. We welcome and encourage you to make the trip to our Distillery in Lawrenceburg or the Warehouse & Bottling Facility in Cox’s Creek to experience our continued growth first-hand. For more information, visit fourrosesbourbon.com/visit/.